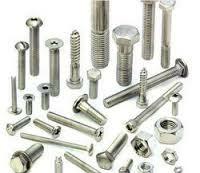 We deal in Stainless Steel Fasteners which have a smooth and polished surface and are available in a quality packaging. Our prime interest is to deliver a flawless range of products to the buyers. And in this concern, we make all arrangements in order to store the entire lot under a safe environment. By making use of quality inputs, we carry out the production process in order to conduct subsequent transformation or modification, finally offering a finished good to the customer.